Every Saudi Expatriate has a dream to bring his family to Saudi Arabia at least once in a lifetime. Whether it is in Visit Visa or in Permanent Visa. Permanent visa may be little difficult way to few of expatriates, But they have a simple option of Family Visit visa, which will let their family to stay in the Kingdom for 180 days (6 Months). You can read this article "FAMILY VISIT VISA DETAILED PROCESS" for more information before submitting the application . HOW TO APPLY ONLINE FAMILY VISIT VISA APPLICATION? 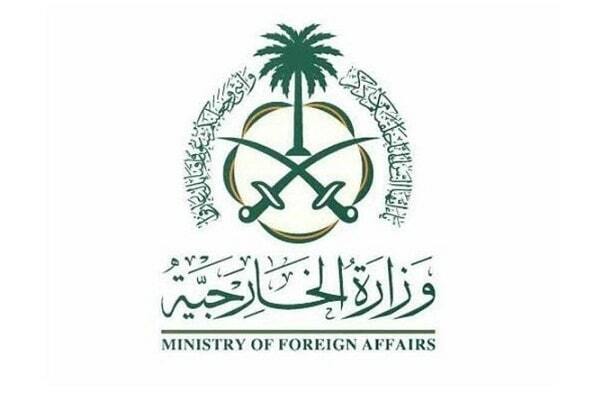 Go to Saudi Arabia Ministry Of Foreign Affairs (MOFA) website, Select Language as 'ENGLISH' at top left side then click on 'INDIVIDUALS' and then 'RESIDENT', Now you can click on 'FAMILY VISIT VISA APPLICATION'. - You can also go simply to direct link by clicking on below text for creating your family visit visa application . "ONLINE FAMILY VISIT VISA APPLICATION"
1. Select 'ENGLISH' as language at top left side, then click on "AGREE" (Refer image below). Its good if You can use Chorme browser then right click on page and click on "Translate to English". 2. Enter your Iqama Number, Visa Number and Iqama expiry date then click on 'NEXT'(Refer below picture). You can find your visa number on stamped visa copy on passport. 3. Now you can able to see your name, profession and date of birth, In this form you have to enter 'CITY' in Arabic,'EMAIL ID' in English, and 'MOBILE NUMBER' starting from 00966, now click on 'NEXT' (refer image below). 4. You can write "زيارة عائلية" in Justification visit which means family trip, Select "SINGLE TRIP", Choose visit visa 'DURATION', Click on 'ADDITION' to add your dependents. - Now you can add your dependent or family member details. NAME as in passport (English), Religion, Gender, Kinship (relation of you), Hand come means "city from where dependent traveling", Nationality and Date of Birth of dependent or family member. 5. Add your all family members to whom you want to bring in visit visa, Once finished, Submit the application. Now you successfully submitted the application, You can print your document for reference. Validity : Once you submitted application, You can "CHECK YOUR VISIT VISA APPLICATION STATUS". It takes minimum 3 days to update the status and maximum may be month. Once your status updated you can see this article "CHECK THE MEANING OF YOUR STATUS". My husband profession is house driver he is eligible for family visit visa or not? "House Driver" is domestic worker visa, Its not eligible for family visit visa. Transfer of house driver is prohibited.so what can we do to get family visit visa or to transfer.plz help us? If we extend our visit visa how many days will it exceed? If you have 3 months vist visa you can extend 3 months more, If you holds one month visa you can extend it one month five more times. One can stay in ksa for 6 months with visit visa. If I have 3 months visit visa, am I extend my visa at the beginning of 1st month or at the end of 3rd month? Extension of visa is accepting only one week before of its expiry date. How many days before zilhaj,extension will close? Normally it will close exact one month before 10th zilhaj, But we cant say exactly. Am I get 6 month visit visa at once? Am I get 6 months visit visa at once? What about the attestation from CoC (Chamber of commerece) ? Read about attestation from chamber of commerce in this article "Submit your application to Chamber of Commerce"
I am not sure, Try to apply online and check whether it permits you or not. I am dependent of my wife. How can I bring my parents to Saudi Arabia for visit for one month. Your wife can apply for visit visa for parents in law. My profession on iqama is document controller and working at consultant company , so can i get saudi family visit visa? Mr. Aaqeel Malik, you can proceed with the above application, If it permits you, You are eligible for family visit visa. My Iqama will expire after 2 month can i apply for 90 days family visit visa. It is better to apply after renewing your iqama, Now a days sponsors are renewing iqama 2 months before of its expiry. My Iqama will expire after 2 month can i apply family visit visa for 90 days. My proffession is electronics draftsman. But when I arrived in ksa that time profession is labour. For family visit visa you can apply through above method, You can ask your sponsor whether your profession is eligible for permanent family visa or not. I am working in contract with work visit visa (3 months validity), can I bring my family in visit visa? What is the procedure, please guide. Mr. Fahim, Work visit visa may does not have that option, If you want to bring your family for visit, Request your sponsor, He will surely have another way. Thanks a lot Mr. Farhan. I will act as guided. and another ques is my wife is Maldives nationality and im pak is it possible to apply for permanent or visit visa . From this 5th June to three month finish on Dulqa'ad 17th, if possible renewal for one more three month. usually within how many days the visa has to be processed and within how many days the visitor have to enter ksa from the day of stamping? what documents are needed for issuing visit visa for in laws? My visa profession is amal a Jips can i get family visa or not ?